Hear and read some of what our many thousands of customers have to say about going solar with Energy Matters in our customer reviews. 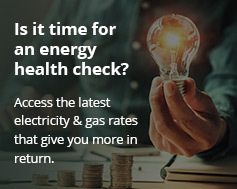 Join the thousands of Australians who are already making their own electricity with a solar power system supplied and installed by Energy Matters! View our current solar specials or get a quick solar quote. “I have always been very impressed that you regularly follow up on the cases I have raised and follow them through to completion. I actually don’t think I have experienced such proactive customer support before and you should be commended for this. “Everyone right through to the installation team were professional. I was very impressed with the care taken by the installers to do the job right and finished cleanly. “Just a quick one to express our appreciation to you all at Energy Matters for the great job done installing our 5KW system. Our expectations of your service and the actual installation were largely exceeded – in every respect. “Thank you and the team we have been in touch with at Energy Matters including Emma & Jess. We have appreciated your help, interest and professional approach – especially when several different designs were required! Adrian and Tom, who installed the system, were also a pleasure to work with – neat, clean finish including care of garden and areas where they worked. “We shopped around and found some questionable retailers who were misrepresenting the origin of their panels. We then saw the Energy Matters website. Enquiries resulted in an on site inspection to ensure the 5 Kw system would fit. We agreed to accept the quote but upgraded the inverter to the SMA German product. Installation was authorized by Power Networks and the installation was done within 2 weeks in May 2013. Being an electrician myself, the materials were top quality as was the workmanship of the 2 installers. Energy Matters handled all paperwork required for Gov rebate scheme and arranged for the import export meter to be installed. We sat back and did nothing other than sign up for a retailer to supply and buy back electrical energy. Our power bill should have been $500.00 but the bill was actually $75.00. due to being winter with reverse cycle air con running and dark winter days. “I just want to say I was very impressed with the professionalism of the installation team of our solar system. Tyler and his other team member whose name unfortunately I have forgotten were very helpful in explaining exactly what they were doing and why.